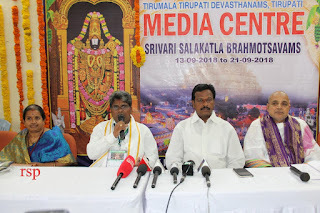 Tirumala, 15 September 2018: Different project officials of TTD said that the cultural programmes during vahana sevas have been providing required devotional entertainment to devotees waiting in galleries during Brahmotsava Vahana Sevas. 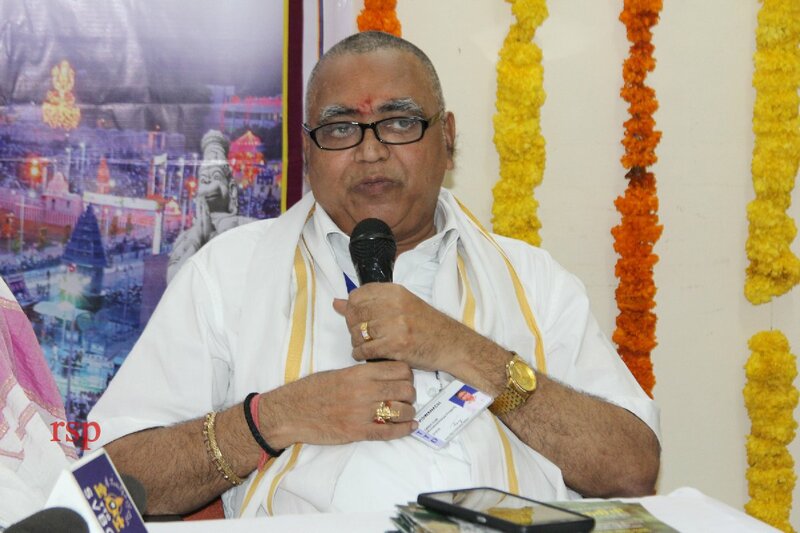 During the media conference at RBRH 2 on Saturday, the Dasa Sahitya Project Special Officer, Dr PR Anandateerthacharyulu said, over 900 artistes have been invited on behalf of their project to perform during brahmotsavams. 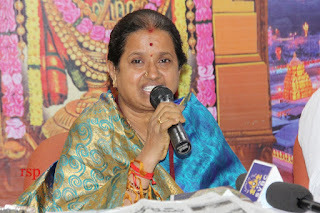 While Smt YVS Padmavathi, Principal, SV College of Music and Dance said, every day the brahmotsavam fete commences with Nadaswara Mangala Vaidyam in Nada Neeraajanam platform. Our students have also been performing in Mahati and Annamacharya Kala mandiram in Tirupati, she added. 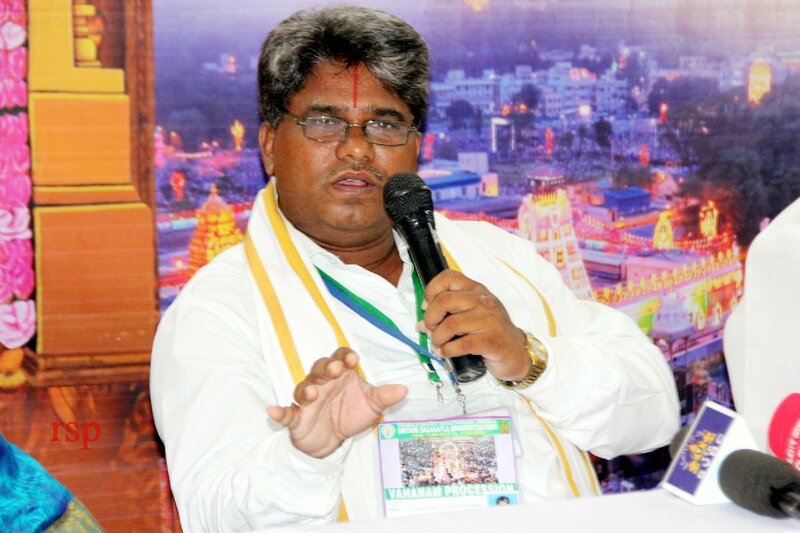 Alwar Divya Prabandha Project coordinator Dr Chokkalingam said, during Jiyangar Gosthi Ganam, every day one prabandham is being rendered. We have also arranged eminent Tamil scholars to give commentaries for vahana Sevas. 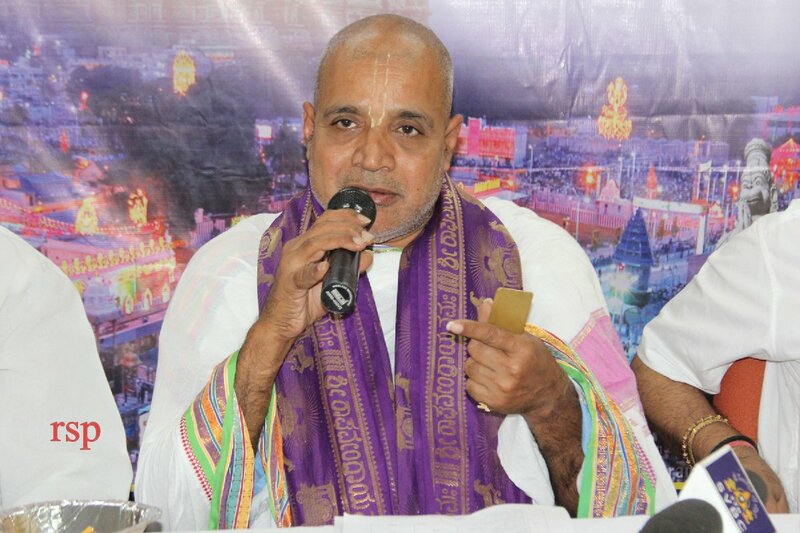 Annamacharya Project Director Sri Viswanath said, Annamacharya sankeertans are being rendered in all platforms in Tirupati and at Tirumala for the annual fete.